Although this was the 44th consecutive year Albion/Boone Central was represented in state cross country competition, it almost seemed like a fresh start for the Cardinals. Card freshmen runners Samantha Weeder, Jordan Stopak and Jonny Lindgren capped their impressive high school debut seasons with medal-winning performances in the 2017 Nebraska State Cross Country Championships Friday at the Kearney Country Club. 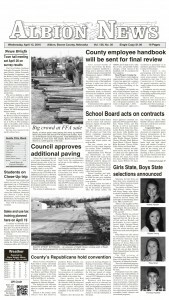 “Our freshmen kids did a wonderful job!,” said veteran Boone Central/Newman Grove Coach Tom Dickey. “I can’t imagine going into this meet, with all it’s pressure, and coming out with three individual medals! 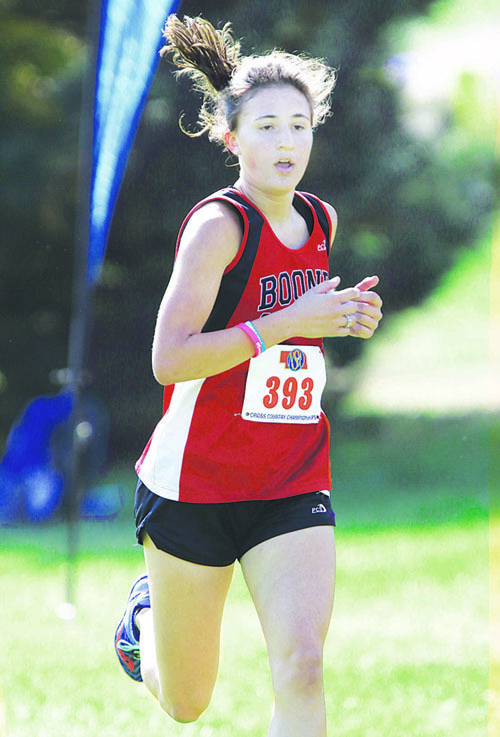 Weeder paced the Boone Central/Newman Grove girls – with four freshman runners – to a 6th place finish in Class C, capturing the 3rd place individual medal with a time of 19:50 – #1 all-time for Boone Central runners on the Kearney course. Stopak ran to a 6th place finish in 20:25 – #3 BC all-time on the state layout. Lindgren, the only Cardinal competing in the Class C boys race, took 5th place with a 17:29 clocking. “Our medalists ran with great confidence and composure,” Dickey praised. Rounding out Boone Central/Newman Grove’s team score of 97 in the girls race were junior Katie Goodwater (69th, 22:52), freshman Autumn Simons (71st, 22:55), freshman Julia Nore (84th, 24:40) and junior Autumn Farmer (87th, 25:01).